"Enjoy life from a different perspective..."
Geographically Ballarhenny is located such as to benefit from magnificent views of the Irish Sea, the Mountains of Mourne , together with the Scottish lowlands and over the Michael Hills, the village and church spire, Peel and its castle with the renowned and stunning sunsets the West coast of the Island is famed for. The existing house on Ballarhenny Farm consists of a house with a separate barn. Occupying an enviable position in the middle of the Irish Sea, equidistant from England, Ireland, Scotland and Wales, the Isle of Man is approximately 10 times bigger than Guernsey and 5 times larger than Jersey. With a unique track record of commercial success, achieving over 30 years of unbroken economic growth, the Island offers its residents a stunning way of life, one that provides a harmony between living and working. This in underpinned by the Island’s political stability, economic diversity and AAA Sovereign Credit Rating securing its reputation as a superb international business centre. In terms of connections, the Island is only a 60 minute flight from London, 45 minutes from Manchester, 55 minutes from Birmingham and 25 minutes from Liverpool, the Island also boasts a recently constructed Private Jet Terminal. Daily passenger ferries depart from Douglas to the UK and Ireland. 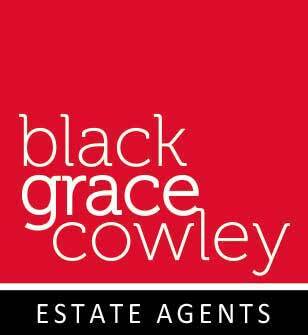 Chartered Surveyors and Estate Agents. Visit gov.im for more information about the Isle of Man. The Isle of Man Department of Economic Development. The architects behind the site proposals. For further information on this unique development opportunity, please contact us to discuss your requirements. Price on application.